Elsewhere on the list Rick Ross pushed out his new single, Kendrick Lamar appeared to pay homage to Method Man in a Saturday Night Live performance, and Chicago rapper Tink showed out thanks to a plug from Timbaland. As the date for the release of Shady XV nears, earlier this week a clip of Eminem talking about the alternate version of “Lose Yourself” was released by his label. The demo echoes the same sentiment as the original but features a noticeably different chorus and flow from Em. 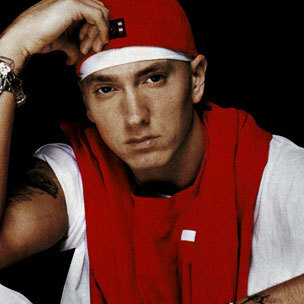 Describing the previously unreleased demo, Eminem admitted to forgetting all about the recording process. While it’s unclear if the single signals the release of more new music or a full project from Push, the younger Thornton brother’s latest features some electronic flavor from Kanye West. Speaking with MTV News about the track, Pusha revealed that Kanye wasn’t just behind the beat, but the concept of the song as well. Eminem spits his characteristically off-the-wall lines in his verse, rapping, “Now Catholics are panickin’ / ‘Cause I snapped back to my old antics and shenanigans / Dammit the pope’s mad again / Probably shouldn’t have ran up in the Vatican / With that mannikin singin’ / ‘Bagpipes from Baghdad’ again,” he raps.